Have a news tip, suggestion, complaint, or an interest in becoming post of the staff? Email the editors and write SISKIYOU in the subject line. Want to learn more about the Siskiyou? Visit out About page! Want to write a letter to the editor? Email the editors 24 hours in advance. Keep it under 500 words. Include your name, pronouns, position and contact info! 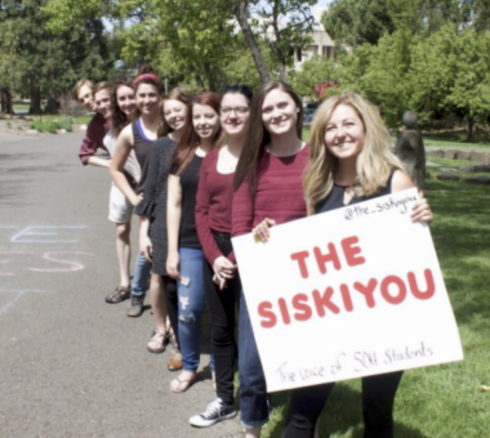 To support the student paper through monetary donations, visit this link and select “The Siskiyou” in the drop down menu. Our meetings are Wednesdays at 6 p.m. in Britt 251– feel free to stop by and meet the staff!